Today Jackson is all smiles. It is the new face put on this young man by the generous donors of Moja Tu. For much of the last year, however, a smile would have been hard indeed for Jackson because his dream of becoming a journalist or a lawyer seemed to have been dashed. 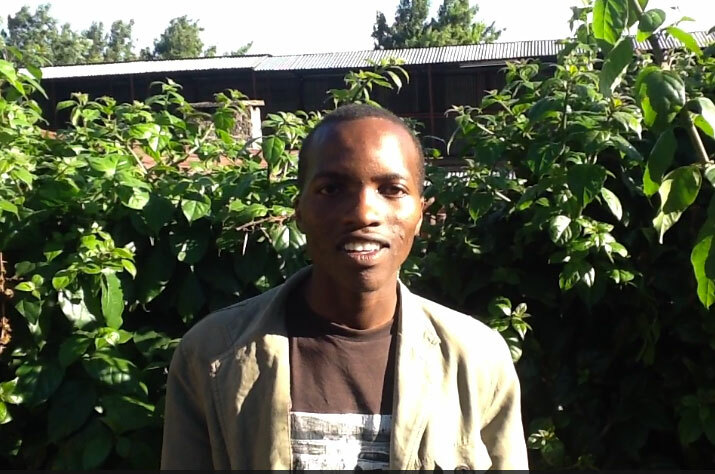 Jackson has always valued the opportunity he had been given to attend school and last year he finished his secondary education and sat for the National examinations (Kenya Certificate of Secondary Education- KCSE) . Because of his excellent grades and score on the KCSE, Jackson qualified to attend one of Kenya’s public universities, but it wasn’t meant to be. Jackson, who has lived at Tania Centre since the 3rd grade after losing both of his parents, didn’t have the means to pay for college and thus wasn’t able to continue his education. Imagine working and studying hard and qualifying to continue your dream of attending the university but not being able to because you couldn’t afford it. Imagine despite that lost hope choosing to volunteer at Tania, helping these children hope for a better tomorrow even while feeling your dreams were lost. Now imagine finding out that hope was not lost and that, through the generosity of Moja Tu donors, you were going to attend University after all. Yeah, I think we’d all have a pretty large smile on our faces too. Jackson is the first student from Tania that has received a university sponsorship and all of the students at Tania are drawing inspiration from him. They see the sudden change in this young man and how his confidence has already grown. He is constantly talking with them to help them realize how truly important the educational opportunity they have is and that they must seize this chance they have been given. In January 2015 Jackson will begin his college career and we have no doubt that that smile will still be on his face. Good luck Jackson, you’re an inspiration to all of us.